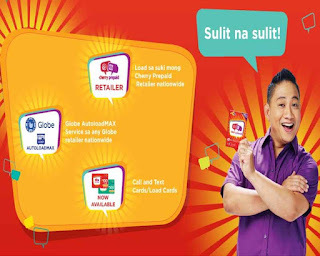 Cherry Prepaid subscribers can reload their account in any Globe AutoloadMax, Malls, convenience stores and remittance center nationwide. If you’re a retailer, you can reload your new customer that uses Cherry Mobile SIM with regular load and promos by simply following a few steps. You can use the load menu or dial USSD code using your retailer SIM then navigate to desired call, text and internet load. If your client wants regular load, you need to get his/her mobile number and amount before you can confirm the transaction. Just dial *100#, select Cherry Promos then choose the promo you want to reload, ask the mobile number then confirm the load transaction. On every successful reloading process, you and your customer will receive an SMS notification. You can check your load or do a balance inquiry to confirm if the amount or promo is loaded to your Cherry Prepaid SIM account. You can buy at your nearest Globe retailers, stores and Cherry Mobile kiosks. Follow the instructions at the back of the load card to reload your mobile number. Do note that all prepaid loads and promos have an expiry date, you need to consume or use the promo and load before the validity date ends.